Will meet to discuss projects, needs, fundraisers, etc. for the Mill and Park. Will meet to discuss projects, needs and fundraiser, etc for the Rainwater Museum. Will meet to discuss organizing artifacts, pictures, memorabilia of the History of Childersburg. These committees will meet independently of the CHPC Board and any recommendations will be brought back to the board for approval and funding. This is in the early stages and the scope of the committees are still being organized. We would like to invite you and others to be a member of one of these committees. As an associate, your ideas and participation will be invaluable to the CHPC Board. Please let me know if you would be interested in being a part of one or several of these committees. Also, please feel free to share with anyone you know that has a love of the history of Childersburg and might be interested in being a part of these committees. 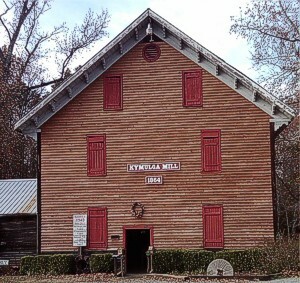 The City of Childersburg, AL acquired the Kymulga Grist Mill and Park in June 2011. 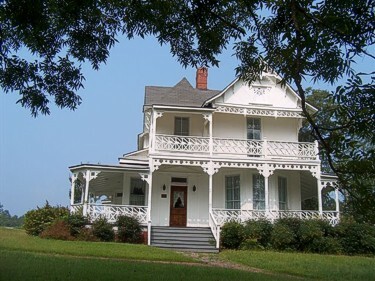 It is operated and managed by The Childersburg Historical Preservation Commission as a tourist attraction and venue for recreation, education, events and family fun. Proceeds from the park itself, fundraising events and donations are all used in maintaining, restoring and preserving this historical landmark. Listed on the National Register of Historical Places, the Kymulga Grist Mill, Covered Bridge and Park is a unique and special place in our community. We invite you to come explore it's natural beauty, learn about it's history and see the exciting changes taking place. All donations are needed and welcome! Click here to find out how you can get involved or make a donation. The Butler Harris Rainwater Museum is a Victorian home perched on a hill, overlooking our city. It was purchased by the city of Childersburg in 1993 and has been restored and furnished to reflect its Victorian history. Artifacts of local historical significance are on display, as well. The house is open to the public free of charge by appointment only.